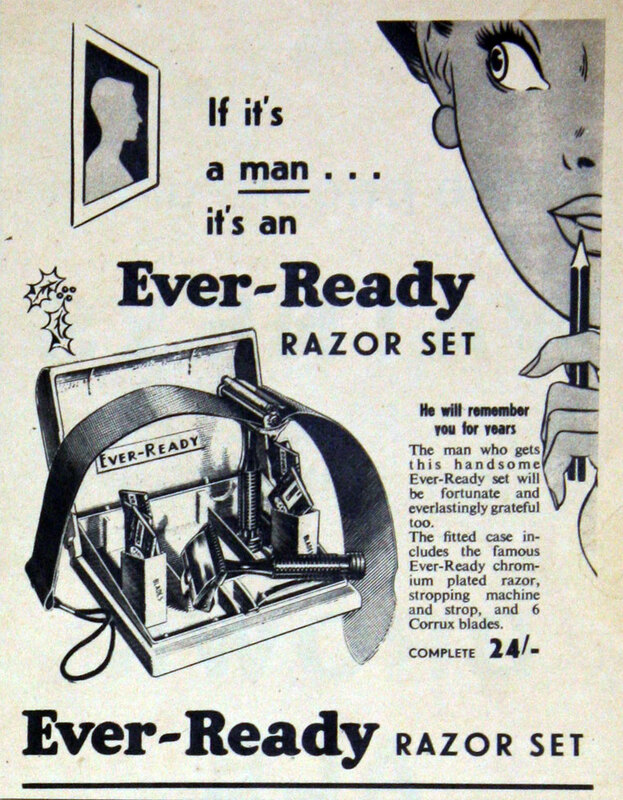 The Ever Ready Company was founded by a Jewish immigrant from Russia. 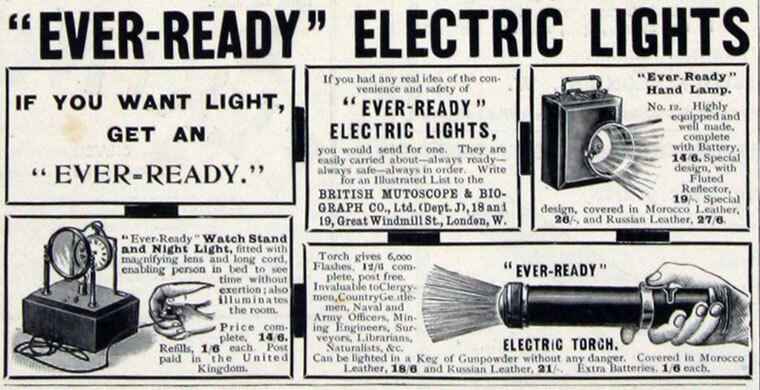 The Ever Ready Company (Great Britain) Limited was part of an international group that originated in America at the turn of the century. 1891 Akiba Horowitz arrived in the USA. He was born in Minsk, Russia. A successful businessman in the distillery trades, he emigrated due to anti-Semitic policies in Russia. On his arrival in America, aged 35, he changed his name to Conrad Hubert. Unable to re-establish himself in that trade, he opened a cigar store in New York City; soon followed by many other businesses, including a restaurant, a jewellery and watch store, a boarding house and a novelty shop. It was the shop that became a pivotal contribution to American industry and manufacturing. 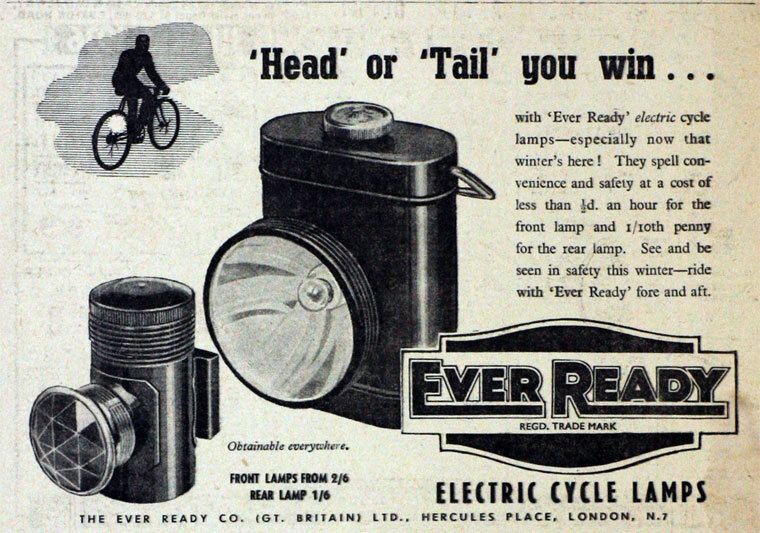 Hubert's success was rooted in a now-obscure novelty - the electric scarf or necktie light which were available in a wide variety of shapes and styles. 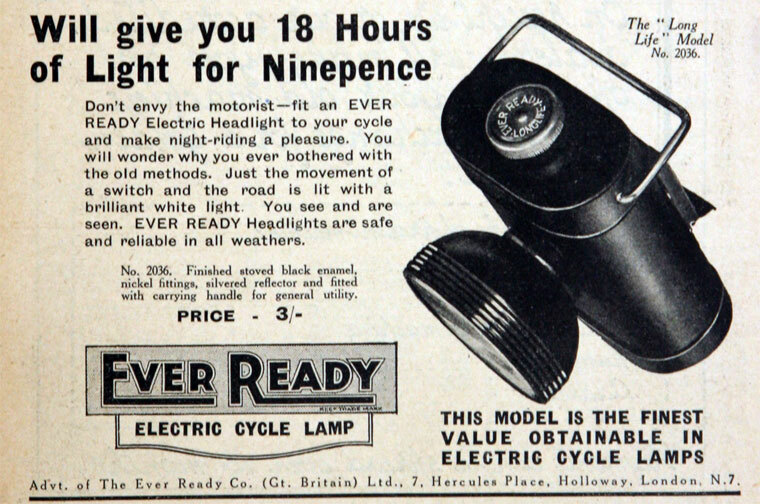 As his business grew, he purchased a patent for an electrical bicycle light, and later, the patent for the first tubular flashlight. 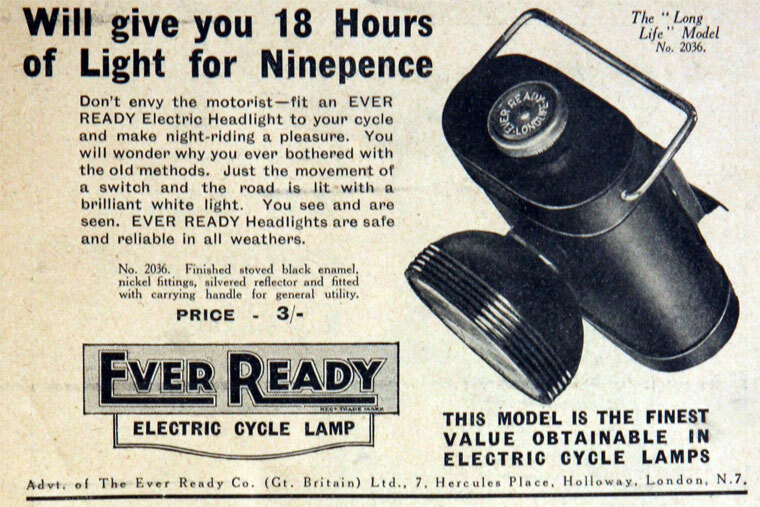 1898 Hubert founded the American Electrical Novelty and Manufacturing Company. He was 42 years old, and financially successful. 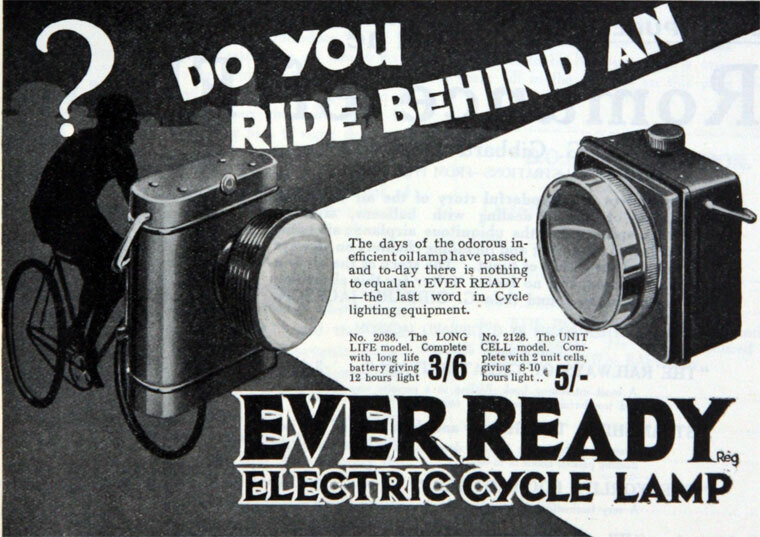 He started making bicycle lights and the Flash Light, then spelled with two words. 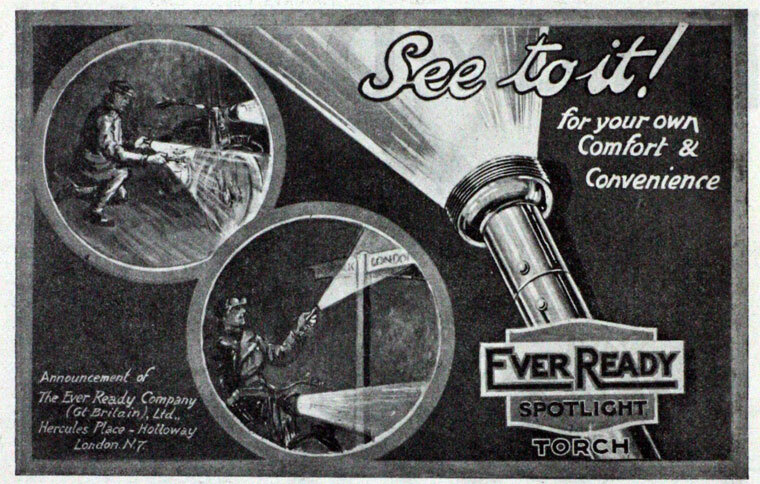 His Flash Lights were offered to New York City policeman, resulting in high visibility for the product and a near instant success for him. 1899 Soon he had established a 10,000 square foot factory on Centre Street in New York City. 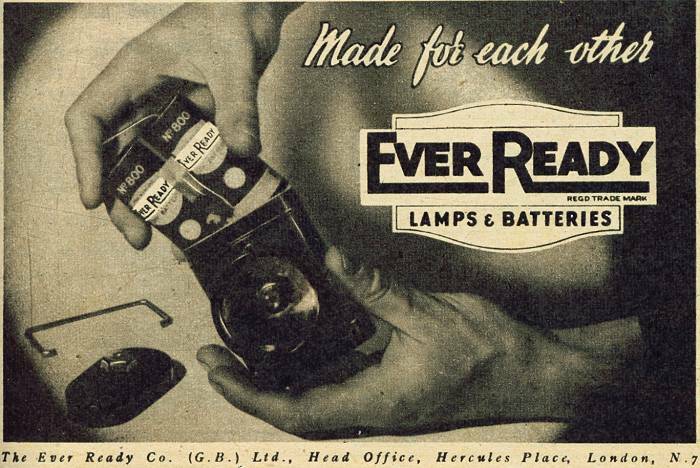 In those factories the company made flashlights, batteries and light bulbs under the name Ever Ready, and employed 60 men and women. 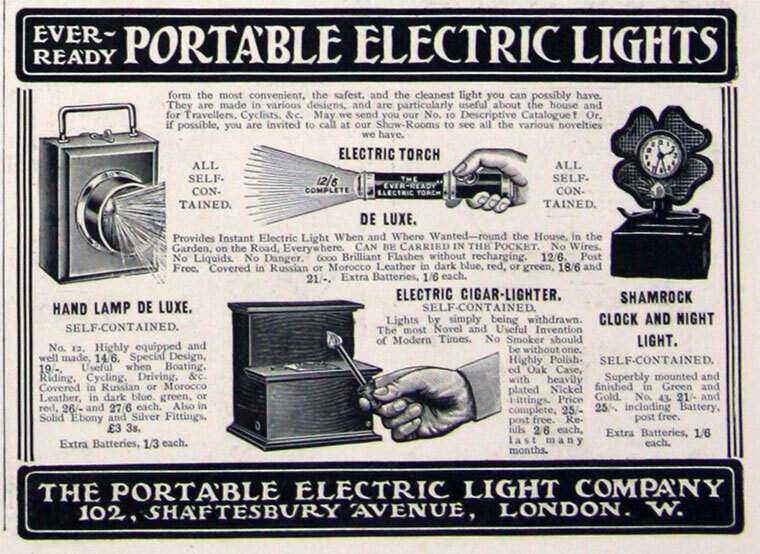 1901 The British company was formed as a private company as the American Electrical Novelty and Manufacturing Company Limited to acquire a small business for the marketing of electrical novelties imported from the USA, the dry batteries for which were manufactured on the company's premises in this country under the brand name of Ever Ready. 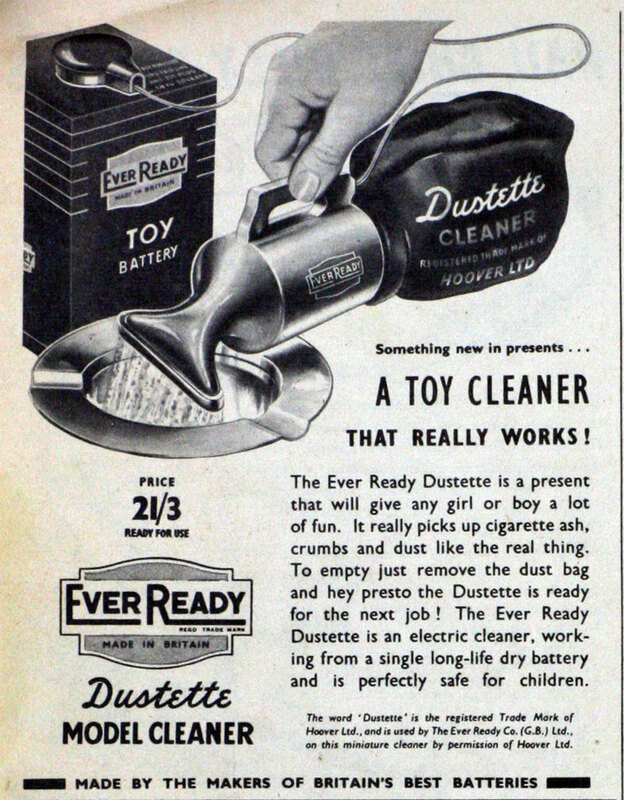 A similar business existed in the USA. 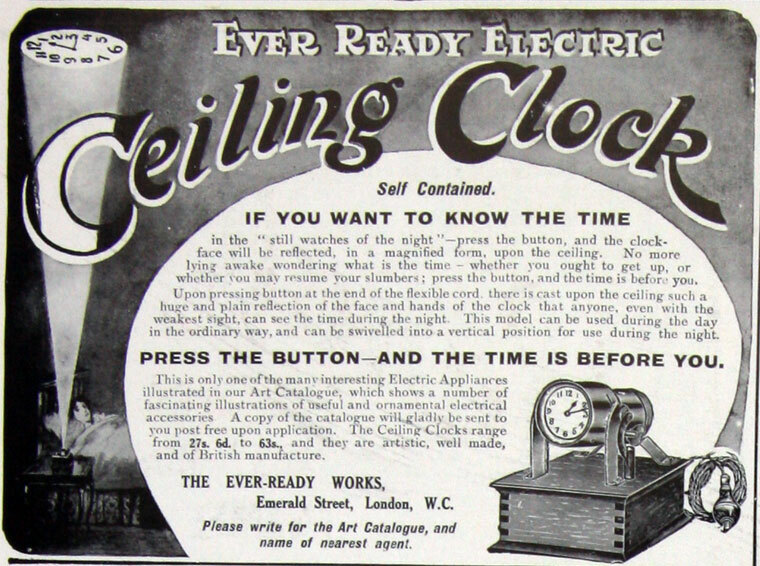 Since about 1904 there have been no connections between the two companies, which have developed independently. 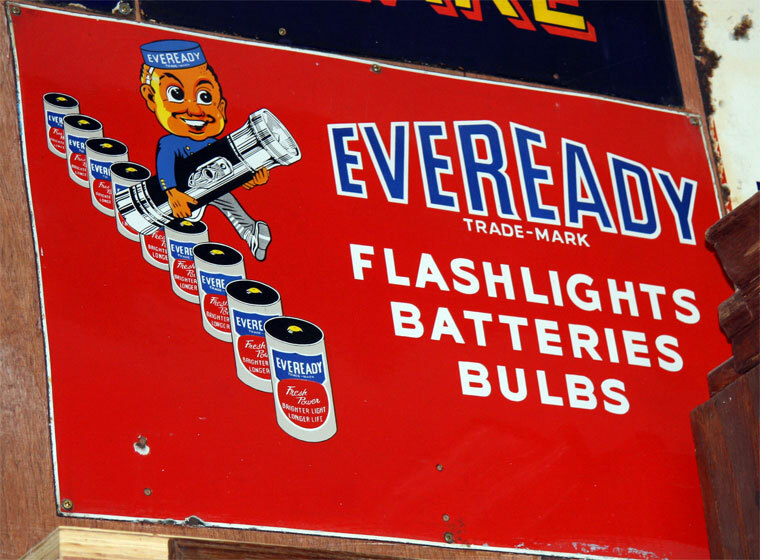 (Today, the American 'Eveready' company is part of Union Carbide Corporation). 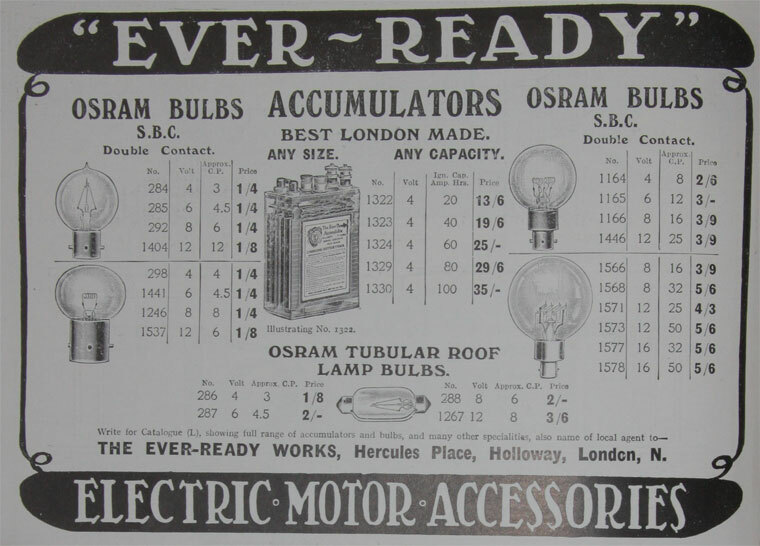 1906 The company's name was changed to the British Ever Ready Electrical Company Limited (the initial BEREC were used later for export products). 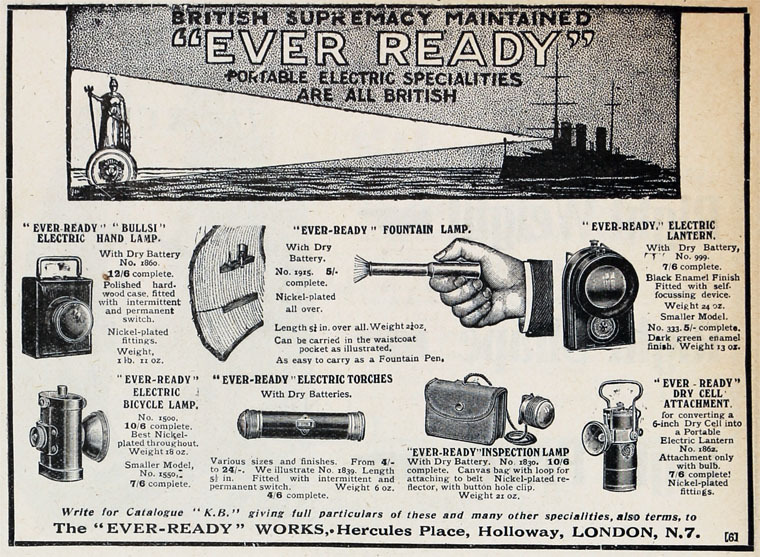 1913 It was registered as a public company as The New British Ever Ready Company Limited. 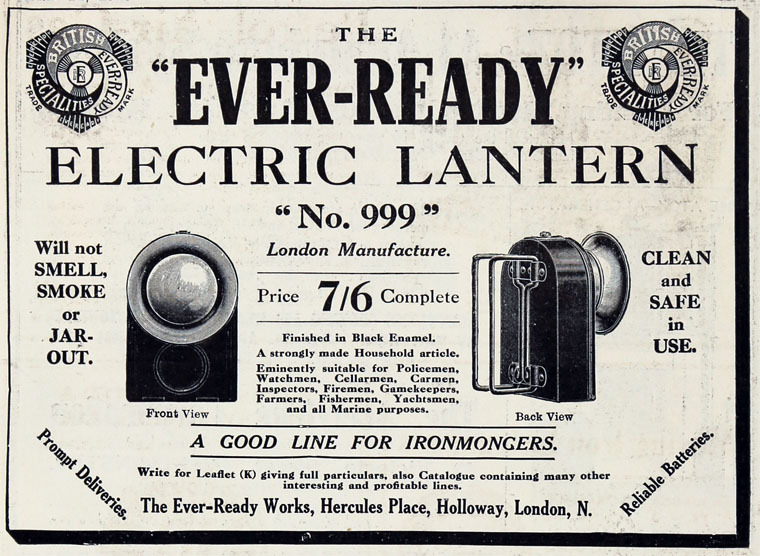 1920 Ever Ready became a public company. 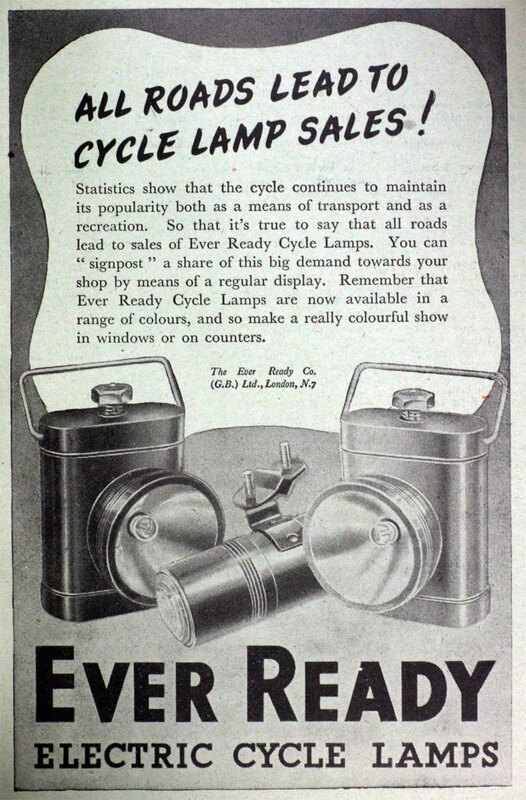 From 1920 to the outbreak of World War II, the Ever Ready concentrated on the production of high tension and low tension dry batteries for valve radio and batteries for portable lighting, together with the equipment (handlamps, bicycle lamps, torches and radios) for which its range of batteries was used. For a short time it had also made thermionic valves. 1925 After the war, Ever Ready had found that the Efandem Co in Wolverhampton was in a poor financial state. 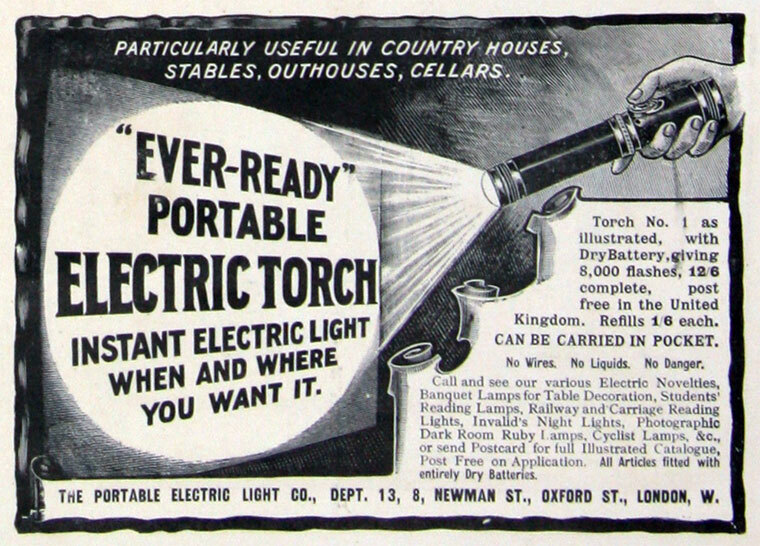 Efandem had been producing items such as torches, torch batteries, searchlights during the war. 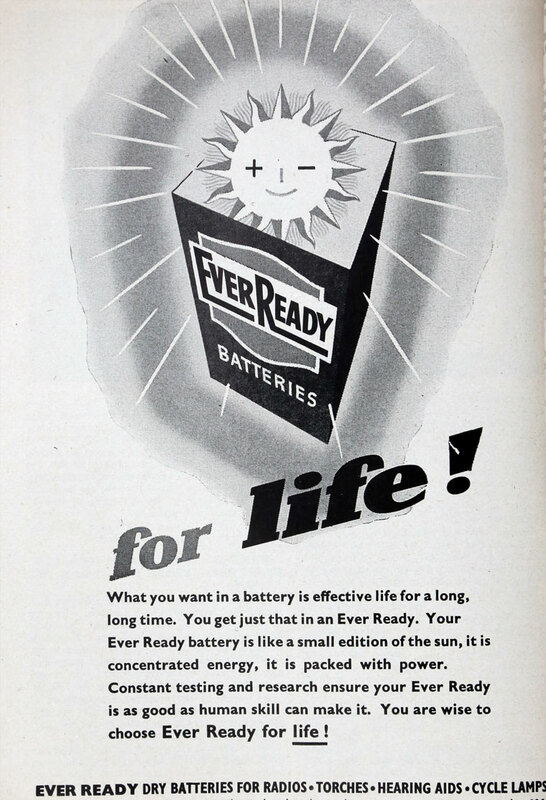 Ever Ready was interested in the works for expansion and purchased the company. 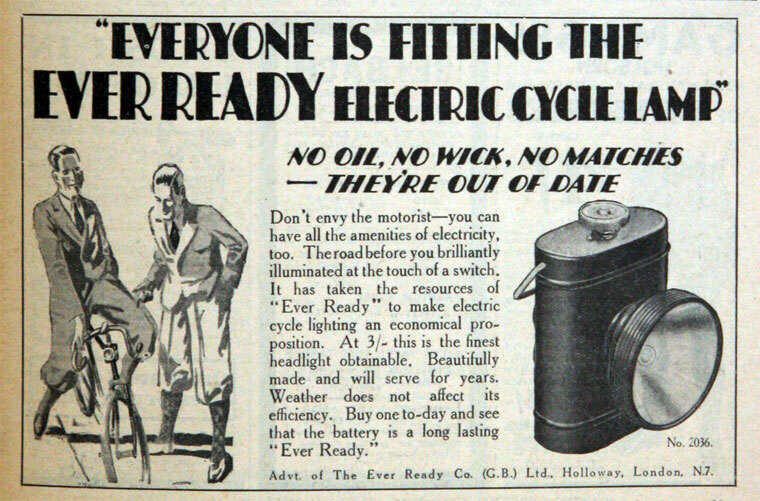 The works went on to employ nearly 3,000 people and produced large numbers of dry batteries and radio receivers . 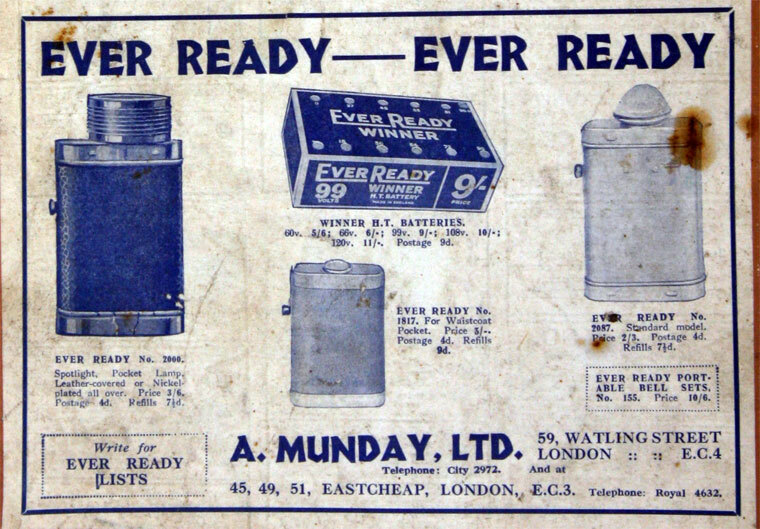 1928 Ever Ready Trust and Finance Co established; Magnus Goodfellow chairman, was also chairman of Ever Ready Co; the trust and finance Co assisted Ever Ready Co with purchase of shares in Lissen Ltd, which company had three large and well equipped factories in London, one produced batteries and the other two produced components, 2800 employees. 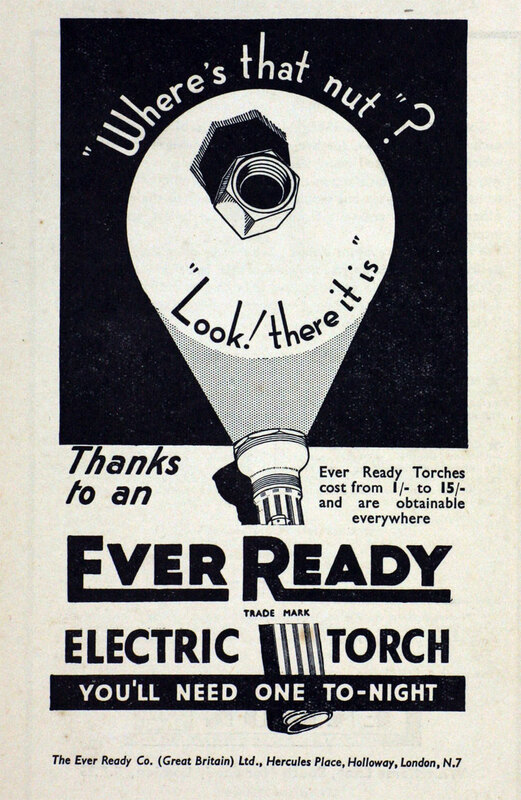 The Trust and Finance Co also had substantial shareholding in Ever Ready Co .
1928 Ever Ready had invested a substantial sum in deferred shares of Ever Ready Trust and Finance Co .
1931 Ever Ready Trust and Finance Co converted into an investment trust Ever Ready Trust Co to allow payment of dividend. 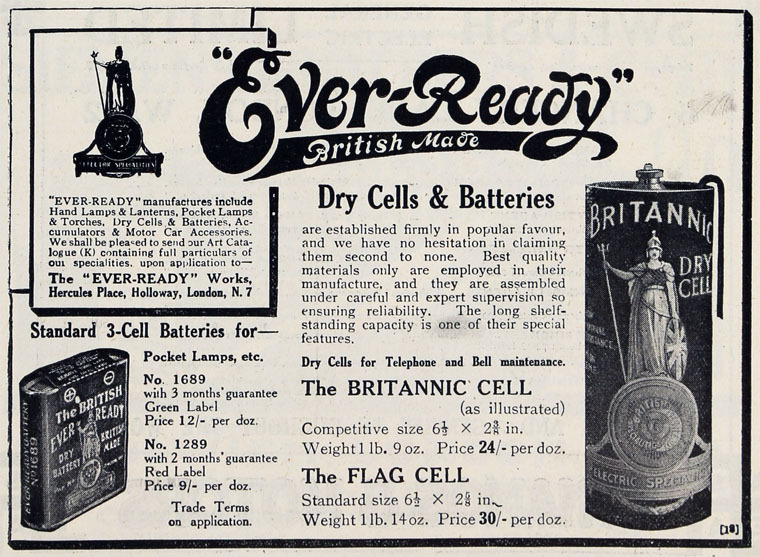 1932 The Ever Ready Company (Great Britain) Limited was the market leader in dry batteries. 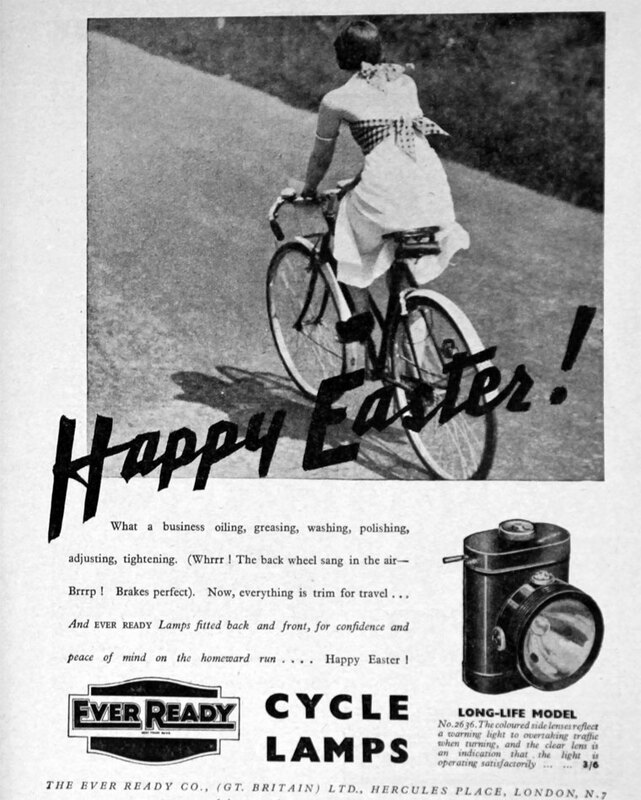 It was incorporated in Canada in 1932 and the British company held quite a number of the shares in that venture. 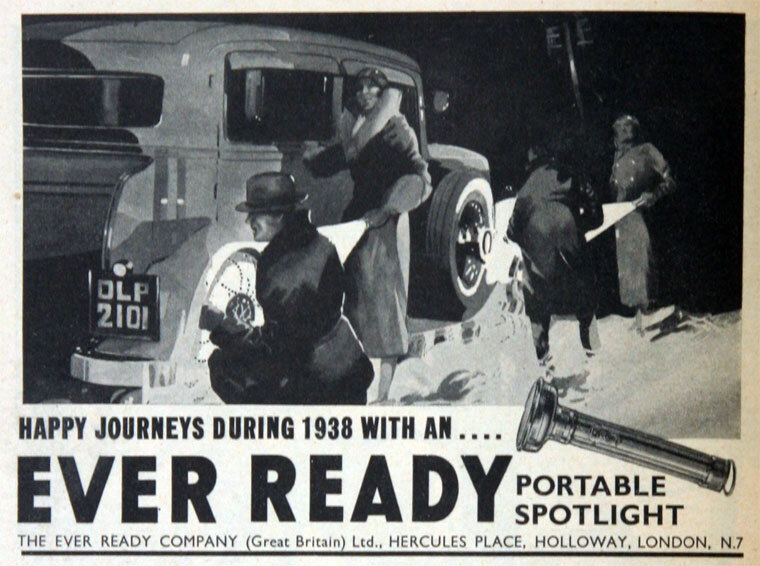 1932 Invested in 2 new factories; motorcycle and vehicle manufacturer AJS had gone into liquidation and Ever Ready bought its Lower Walsall Street Works, which became an important centre for the manufacture of torches. The works became known as Canal Works . Unlike the previous year, the company had received no dividend from Lissen Ltd nor from Ever Ready Trust Co.
1934 From 1 February, Ever Ready Co (Great Britain) were appointed managers of the business of Lissen Ltd. 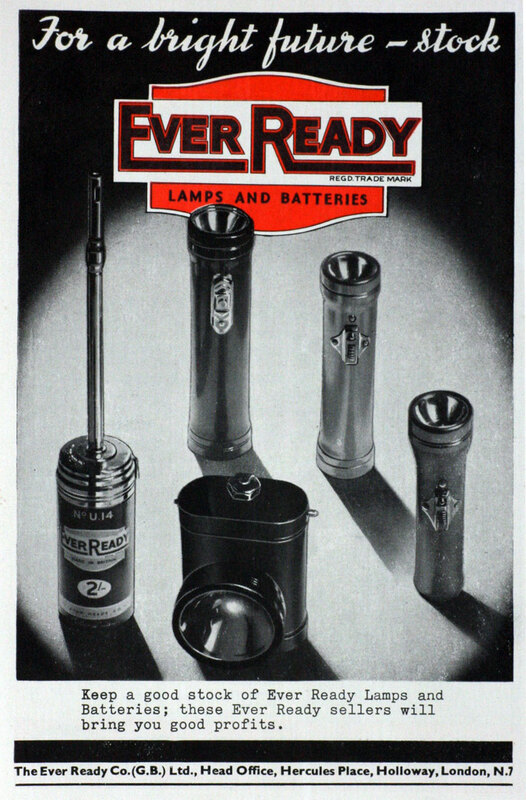 Soon after Ever Ready Co (Great Britain) made a public issue of shares, to acquire most of the remaining Ordinary shares of Lissen Ltd .
1934 Acquired Grosvenor Electric Batteries Ltd. and Vinces Dry Batteries Ltd..
1935 Ever Ready's commercial policy was to encourage the use and production of battery-powered equipment, so the company entered the radio manufacturing business. The first two Ever Ready receivers appeared. 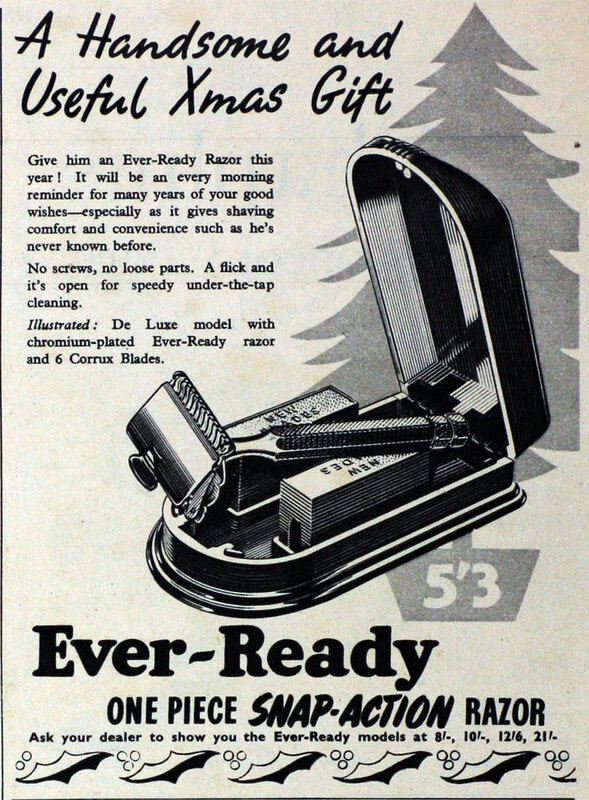 Initially Ever Ready collaborated with Pye. The chassis and cabinets were made by Pye and put-together at Ever Ready's Finsbury Park factory, which was supervised by Pye management. The collaboration only lasted for a few years. 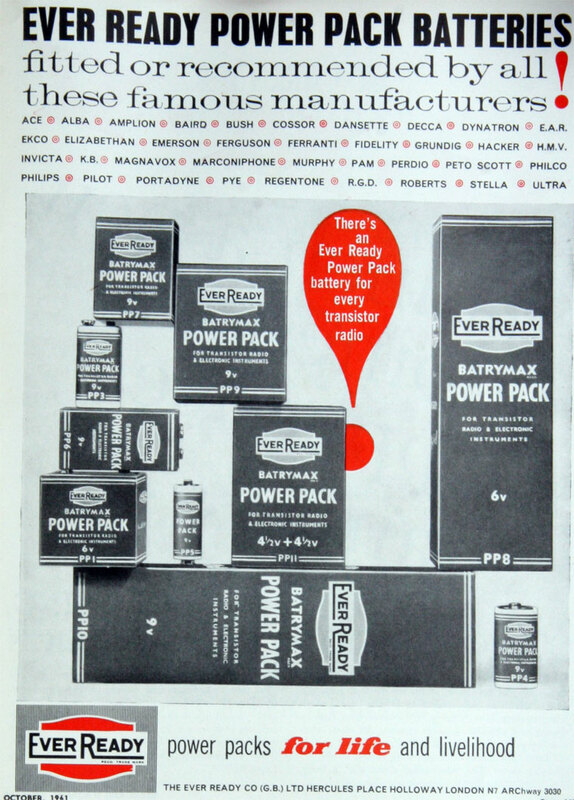 1936 Ever Ready Co (Great Britain) made an offer to the holders of Preference shares in Lissen Ltd to convert their shares into Ordinary shares of Ever Ready, which already owned virtually all of the Ordinary shares of Lissen Ltd. Offer accepted by over 90% of holders so the others could then also be acquired. 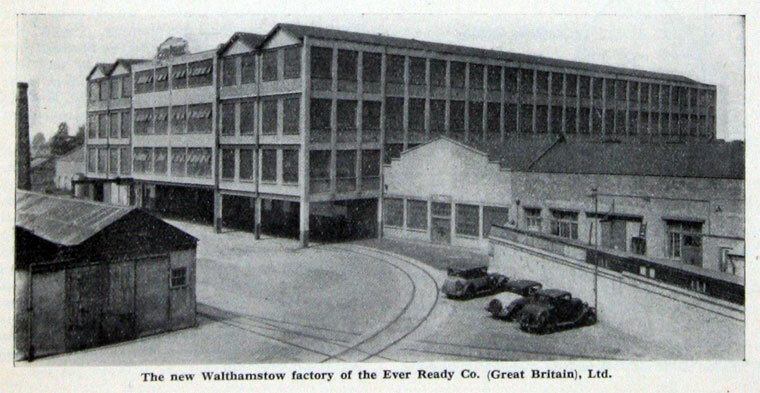 WW2: The Lissen factory at Islington was still in production at the beginning of the second world war; it obtained a ministry contract to assemble and repair "Comfort Sets" for the armed forces. 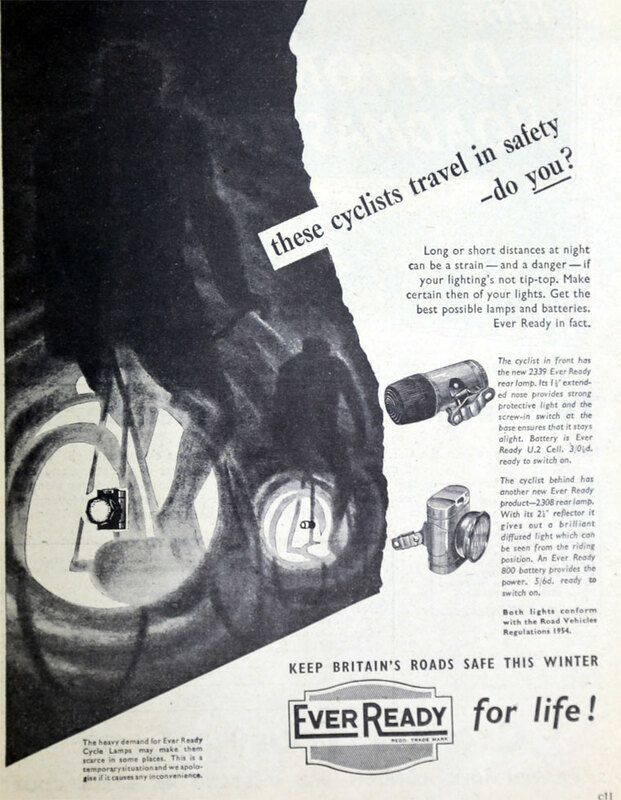 In 1941 the factory was destroyed in an air raid. Initially manufacturing began again at Amersham, Buckinghamshire, but the buildings were too small and unsuitable for this kind of use. Space was found at Canal Works and in 1942 Ever Ready began to build radios in Wolverhampton. More space was still required and so the radio department soon made its final move to Block 'A' of the Park Lane works. Although the radio department was situated in a part of the battery works at Park Lane, it operated as a separate unit. 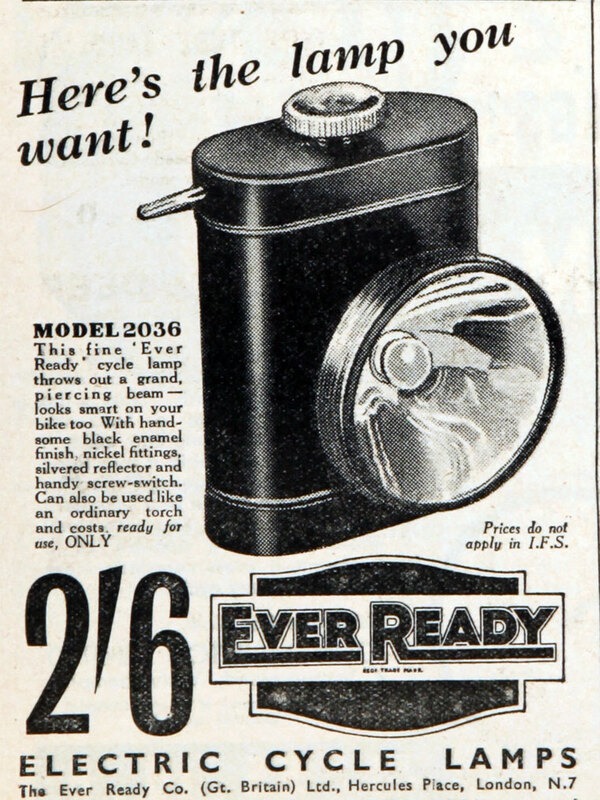 After the war, the department began to produce radios for the civilian market, and almost all future Ever Ready radios were designed and built there. 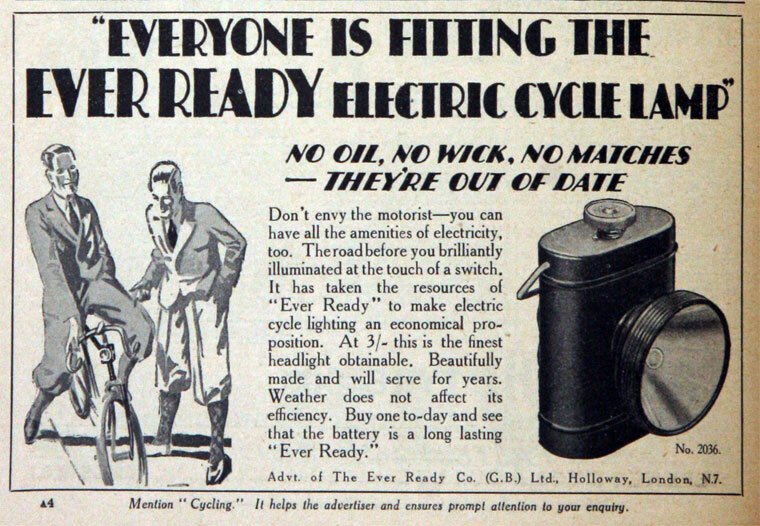 The Ever Ready Van Sales force distributed many of the finished products to radio shops, outlets selling batteries, general stores and cycle shops. Large quantities of receivers were distributed by BEREC and others were sold to mail order companies and Wireless for the Blind. 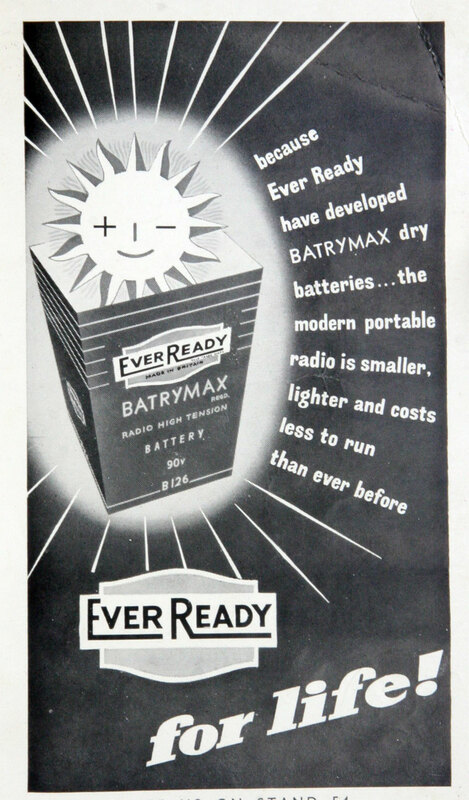 1968 Ever Ready decided to close the radio department and concentrate solely on battery manufacture at Park Lane works . 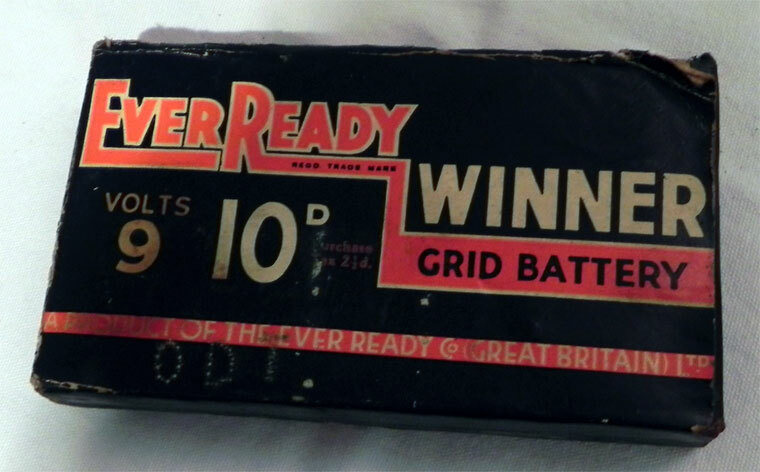 1974 Monopolies Commission found Ever Ready had 80% of the Zinc Carbon battery market in the UK but had not abused its position . 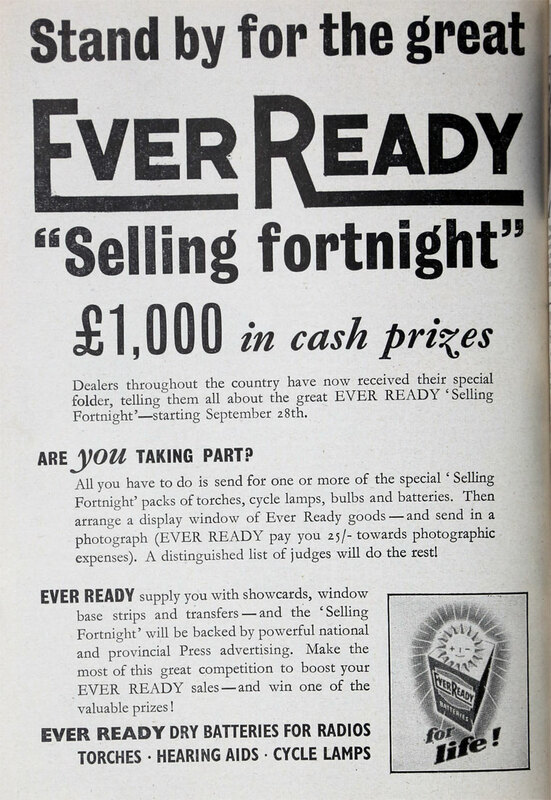 1978 Ever Ready (Holdings) Ltd advertised its export awards; subsidiaries included BEREC, Mandaw Products, Marbourn, Chemical and Carbon Products, Electro-Formers, Varley Dry Accumulators, Crabtree, Churchouse, Ceramic Engineering, Toolrite and Burndept Electronics (E.R.) 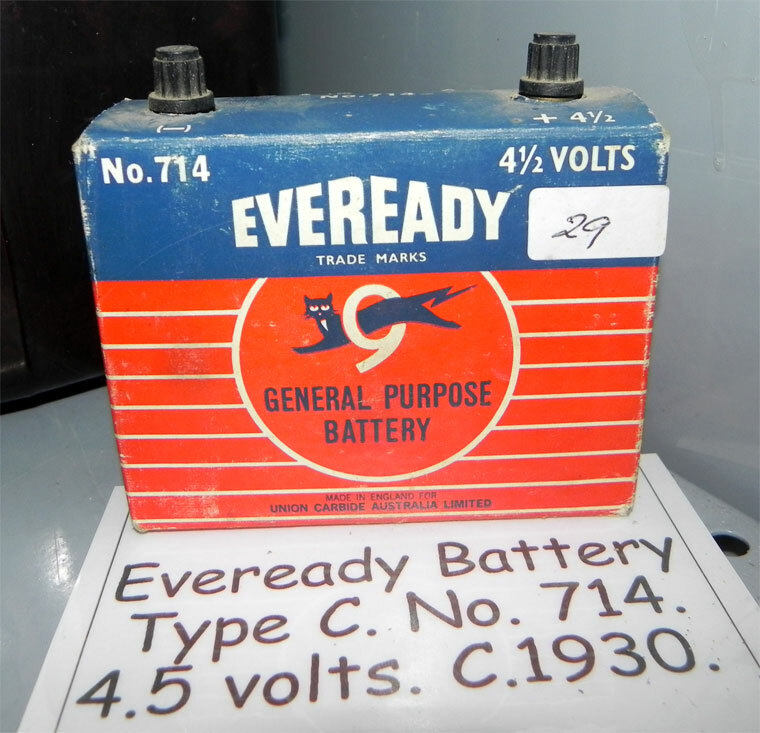 Ltd .
1980 Battery production continued until the spring of 1980, when the Park Lane works finally closed. Demand for the company's products had slowly been falling and the works were no longer profitable. 1982 Acquired by Hanson Trust. 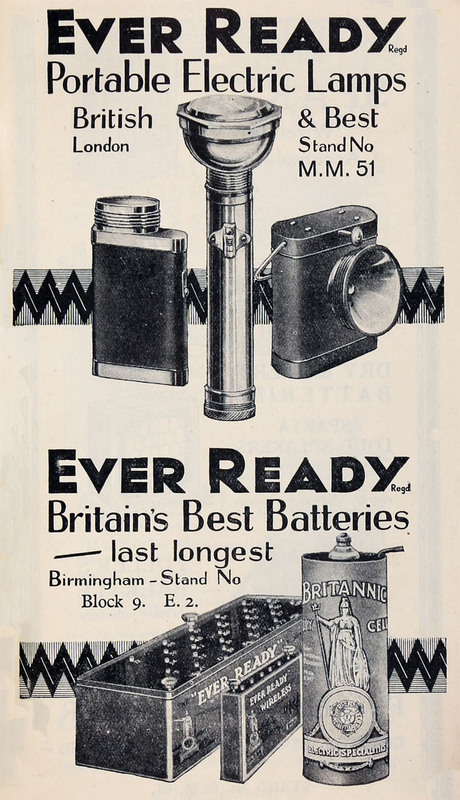 Name changed to British Ever Ready Co. This page was last edited on 22 March 2018, at 11:32.